Okay, let's solve those problems one by one. Note: the problems list below contains those reported most by iPhone XS users. Not all of those issues will occur on your iPhone. But if you happen to experience one of them, you may find a solution here. Apple has made it easy to fix the hardware issues or software bugs as well; you can go to a local store for help. 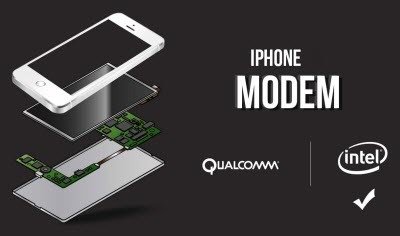 The new iPHone XS/XS Max/XR use Intel's modem instead of Qualcomm modems. According to 500,000 user tests on T-Mobile and 570,000 user tests on AT&T, Qualcomm modems are 53-68% faster faster than Intel downloading content under 3G and 4G environment. 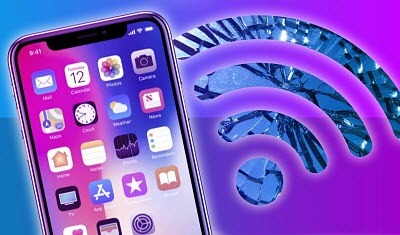 What's more, Qualcomm will debut the 5G smartphone modem this year while Intel won't support 5G network for iPhone until next year. This is surely a problem of iPhone Xs Max/Xs/XR for users who care internet speed on smartphones. But in real-world performance, you may not experience that much difference with Intel XMM 7560 instead of Qualcommn X20. Complaints with iPhone Xs/Xs Max/XR battery are myriad. According to Tom's Guide, iPhone XS and XS Max won't last longer than iPhone X, though Apple claimed that both phones can deliver 30 minutes to 1.5 hours longer battery life. Specifically, iPhone XS Max survives 10 hours 38 minutes, iPhone XS last for 9 hours 48 minutes, shorter than 10 hours 49 minutes in iPhone X, and definitely won't come any close to 11 hours 16 minutes in iPhone 8 Plus. How to fix this iPhone XS problem? 1. Upgrade to the latest iOS version. 2. 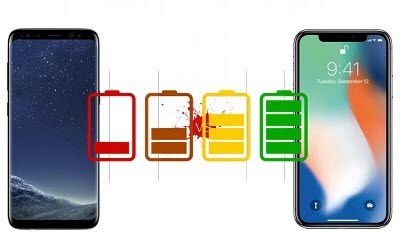 Maybe you will need " tips on how to improve iPhone battery life" to ease this problem on iPhone XS/XS Max. 1. Reset Network Settings or forget the Wifi network and rejoin. 2. Check the VPN settings and disable it if necessary. 3. Set the custom DNS: Settings > WiFi > locate collection and tap "i" icon > scroll down to DNS and enter a new DNS address (for OpenDNS, 67.222.222 or 67.222.220; for Google DNS, 8.8.8 or 8.4.4). Face ID is a new feature introduced in iPhone X and continues on new iPhone Xs/Xs Max. 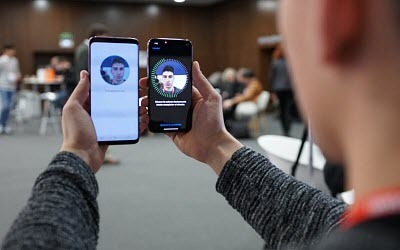 Apple's 3D facial recognition is by far the most secure face recognition tech used on mobile, considering that the Intelligent Scan in Galaxy S9 is still 2D-based. However, even the Face ID on iPhone XS is not 100% safe. In some cases, a twin or family member like your kid may unlock the handset. Also, women with heavy makeup may run into "unable to activate Face ID on this iPhone" problem. To fix the problems with iPhone XS Face ID, first restart your device. If that doesn't help, update the iOS to the latest version may bring Face ID back to normal. If nothing works, contact Apple Support or go to a local Apple Store. New iPhone XS users may find their screen unresponsive randomly. They may be unable to swipe or tap the screen, or it takes too long to respond. Sometimes, iPhone XS screen freezes completely and ignores any taps. First, note that iPhone Xs/Xs Max screens become very responsive in extremely cold or hot weather (temperatures below 0º or above 35ºC). If that's not the problem, let's move on. 1. First of all, force restart iPhone XS and end the unresponsive issue. 2. Update iPhone XS to the latest iOS version. 3. Boot iPhone XS in recovery mode. 4. Resetting in DFU mode as your last resort: connect iPhone Xs Max/Xs/XR to computer > open iTunes on computer > press Power/Side button for 3s > keep pressing both Power/Side button and Volume Down button for 10s > release Power/Side button but keep pressing Volume Down for another 5s. There are many users complaining about issues with iPhone Xs/Xs Max/XR incoming calls. 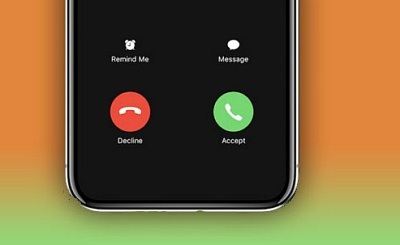 The screen displays the call 5-10 seconds after the ringtone starts, preventing users to check who is on the line and answer the phone. Beyond that, there are also problems with new iPhone XS call sound. Some users say they can almost hear nothing during the phone call. 1. The incoming calls delays are mostly caused by a software issue. 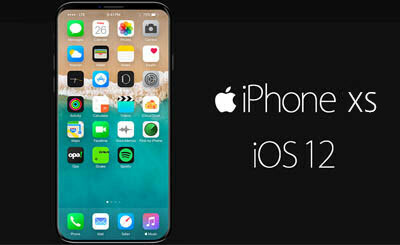 Upgrade device's iOS. 2. Enable Airplane mode for several seconds and turn off it again. 3. Remove any flip case that may cover the back microphone near the camera. 4. Go to Settings > General > Accessibility. Scroll down to noise and turn off noise cancellation. 5. Take the SIM card out of iPhone and re-insert it again. Similar to iPhone X, some iPhone XS users are experiencing crackling or buzzing sounds from the speaker. Crackling or buzzing noises are noticed from the front-facing earpiece speaker at high or max volume setting when watching videos or making/receiving phone calls. 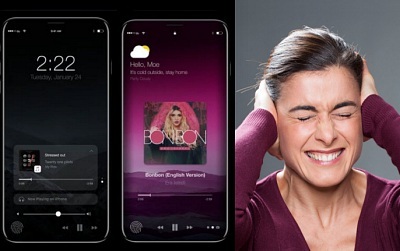 While the iPhone XS issue with crackling sounds isn't crippling the majority of the units, quite a number of users are annoyed. The noises are mainly caused by a software or hardware problem. 1. Fix software problem: update to the latest version or DFU restore iPhone XS as per the guide in "unresponsive screen" section. 2. Fix hardware problem: contact Apple Support to fix the buzzing speaker or replace the misbehaving device. With the latest and most powerful hardware, iPhone XS is supposed to be the fastest. On the contrary, some users are reporting lag, freezes, and other slow performance issues with iPhone 9. Before you take your device to a local Apple Store, there are a few of things to check. 1. Check your storage: Settings > General > and tap on iPhone Storage. If the iPhone is too full, it will lag or freeze sometime. If you have stored too much data, delete or backup the big videos, photos, music etc via iTunes or third-party iPhone backup tool. 2. Clean browser's cookies and data: Settings > Safari > and scroll down to Clear History and Website Data. 3. Other fixes like update the iOS, update the apps, stop Auto Downloads, disable background refresh, disable widgets etc. The new iPhone XS has made the first 13MP camera, surpassing the 12MP cameras used by common devices. While enjoying the extremely crisp pictures, there is also problem with iPhone XS camera. 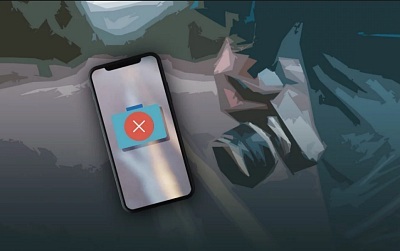 The most common issue is that iPhone Xs/Xs Max/XR is not focusing properly, together with other errors like camera app crashes, camera stop working etc. 1. Update to the latest iOS or downgrade to previous version. 2. Remove the iPhone case and clean the camera lens. 3. Tap the phone on the top of the phone above the rear camera lens. 4. There may be a hardware problem, so ask for a replacement in local Apple Store. Some problem troubleshooting invovles data erasing, like DFU restore. Backup iPhone Xs/XS Max/XR before you try any fix. The top-rated iPhone file manager will easily transfer, backup, and manage data like photos, videos, music, ringtones, books, iTunes purchases etc. 1 click to keep iPhone XS data safe. 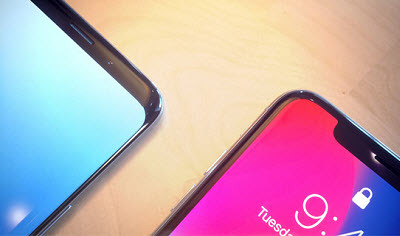 Samsung Galaxy S9 vs iPhone X, Which Should You Buy? How to Set up the New iPhone XS without Problem? 2019 Best Phone Out Right Now - Which to Buy? Transfer bulk photos from iPhone to Mac with a click. Transfer music, songs, playlists, rigntones from iPhone to Mac. Move 4K recordings, HD videos from iPhone to Mac instantly. iTunes too complicated? A far easier iPhone transfer tool.